If you have been seriously injured or know of a family member's wrongful death from an accident, your pain and suffering are likely overwhelming. Our attorneys' entire professional focus is on helping people like you through these traumatic and devastating situations. We will treat you with compassion and offer an honest, thorough evaluation of your legal rights. 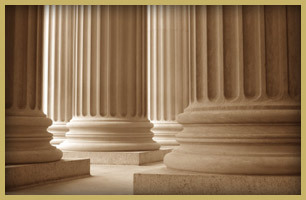 Our number one priority in every case is obtaining just compensation for our client. We also take great satisfaction in exposing negligence and enforcing accountability — so that what happened to you is less likely to happen to others in the future. We have been faithful to these missions since our law firm's founding in 1984. For a free initial consultation with an experienced personal injury lawyer, simply call or reach out to us online now, using the email form below.